Georgia voters made it clear this week that they are not ready to turn over the levers of power to Democrats at the state or federal level. 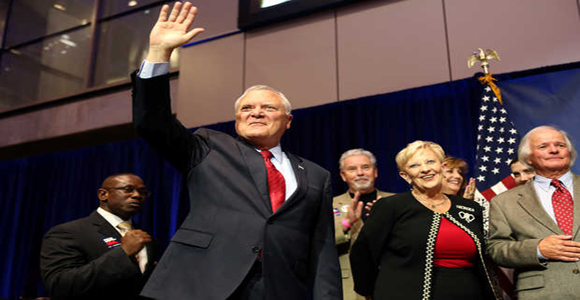 Nathan Deal won a resounding victory in his campaign for four more years as governor, and so did David Perdue in his race for the U.S. Senate. How did the pollsters get this election so wrong? Why did white voters completely reject the Democrats message? What will Governor Deal’s priorities be as he moves into his second term, and what can we expect from a Senator Perdue? Host Bill Nigut leads our panel of pros in this conversation. Guests are Howard Franklin, Democratic consultant, Eric Tanenblatt, Republican advisor, Tharon Johnson, Democratic consultant and Leo Smith, Director of Minority Outreach for the Georgia Republican Party.